This multi-year project was finally completed in 2013, integrating STEAM (Science, Technology, Engineering, Art and Mathematics) into the Hawaii Department of Education's Communication Arts core curriculum. 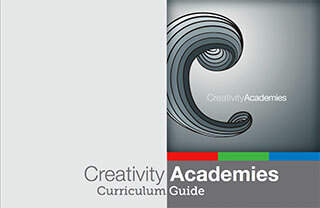 Consists of 20 lesson plans in a range of digital production tools and both online and downloadable PDF guides to the curriculum (with indexes to ACO targets). Represents the collaborative work of Kapolani Community College, the Department of Business, Economic Developmen and Tourism, Hawaii STEM practicioners, and various private sector creative industry representatives. DUB WAR & INFRA - "IF IT ISN'T THE POLICE"
Dub visuals based on the work of ZamZam's lead designer: Polygon Press produced in Adobe After Effects, Premiere, Photoshop and Trimble Sketchup. The collaborative product of two workshops at this year's Maui STEM Conference. 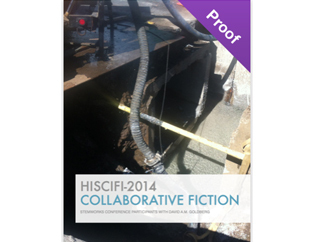 Students wrote science fiction and produced digital images about the future of Hawai'i as a gateway to STEM concepts. Produced in iBooks Author. 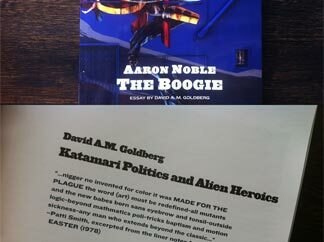 Catalog essay for Aaron Noble's "The Boogie" solo exhibition in Los Angeles. 2012 Six Artists Pursue the Art of Re-recognition in the Deserts of the Real. 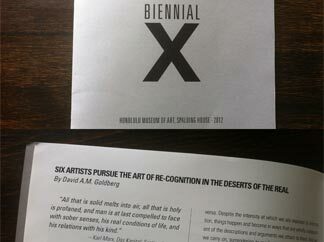 Catalog essay for The Honolulu Musuem of Art's 10th biennial. David A.M. Goldberg is an accomplished Hawai‘i based writer, teacher, programmer and media developer who has used a lifelong interest in art, culture and technology to transform the means by which people access, assess and organize knowledge. A San Francisco native, David came of age in the 1980’s and split his time between practicing different elements of Hip-hop and exploring cyberspace at 300 baud with a Commodore 64. 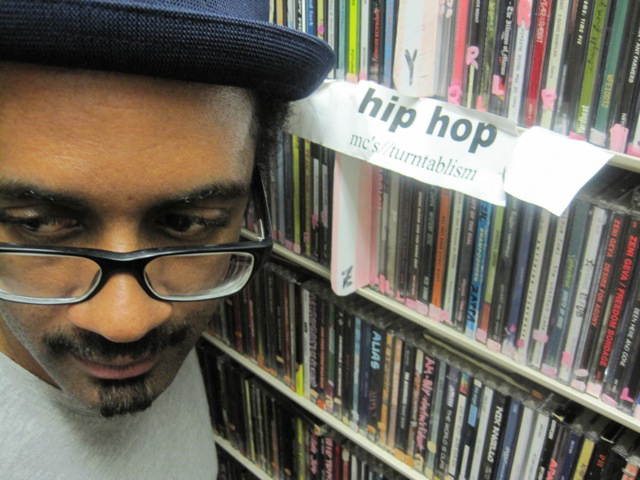 A fundamental cultural compatibility between Hip-hop and hacking would define the trajectory of his professional and creative life, taking him through Howard University’s School of Engineering while Hip-hop’s “golden era” inspired his generation’s popular culture and political perspective. Goldberg’s cultural lens was cut from a matrix of liberal arts and hard science. Early on he spotted profound reiterations of America’s best and worst cultural and social practices in the digital context of video games, chatrooms, mailing lists and the early World Wide Web. That lens was polished by a commitment to writing about these changes, teaching others to recognize them, and lecturing at universities such as UC Santa Cruz, USC, CCA, Otis, and Columbia University. He moved to Hawai‘i with his family after the turn of the century dot-com crash. Here he continues to write, teach and develop interactive media projects independently and with the institutional support of State funding agencies, the Univeristy of Hawai‘i, Kapiolani Community College, the Maui Economic Development Board, the Honolulu Museum of Art, and the Department of Education. The geography and cultural history of Hawai‘i as complex, contentious and rich as it is, has proven to be a productive context to continue his research and creative pursuits. Currently he writes art and culture pieces for the Honolulu Star Advertiser and the Honolulu Weekly, programs and manages local and mainland web development projects, teaches in the department of American Studies at the University of Hawai‘i, and independently develops curriculum.